"Tonquil" redirects here. For the stimulant drug, see Clofenciclan. 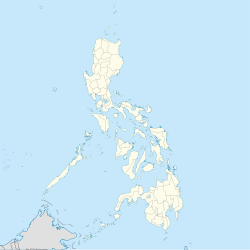 Banguingui, officially the Municipality of Banguingui, is a 4th class municipality in the province of Sulu, Philippines. According to the 2015 census, it has a population of 24,161 people. From its original name Tongkil, it was renamed Banguingui on January 29, 1999 by virtue of Muslim Mindanao Autonomy Act No. 71 of the Autonomous Region in Muslim Mindanao in honor of the dominant Banguingui tribe of the municipality. It was inaugurated only on January 29, 2006. ^ "Muslim Mindanao Autonomy Act No. 71; An Act Changing the Name of the Municipality of Tongkil in the Province of Sulu to the Municipality of Banguingui" (PDF). Regional Legislative Assembly, Autonomous Region in Muslim Mindanao. Retrieved 27 January 2016. ^ "MMA Act No. 71 : An Act Changing the name of the Municipality of Tongkil in the Province of Sulu to the municipality of Banguingui" (PDF). Archived from the original (PDF) on 2014-09-03. Retrieved 2013-10-06. ^ "Banguingui, Sulu : Average Temperatures and Rainfall". Meteoblue. Retrieved 31 January 2019.